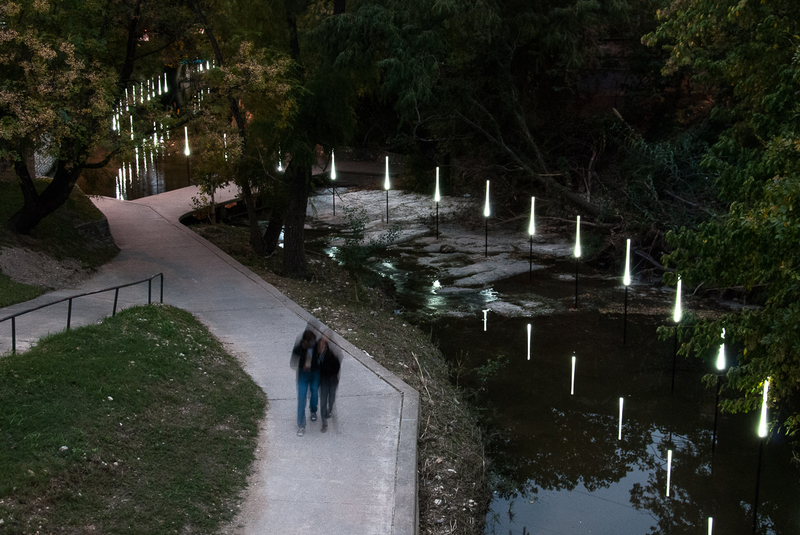 Tracing the Line was an installation commissioned by the Waller Creek Conservancy that was equal parts landscape and architecture, encouraging participants to trace a portion of Waller Creek and urging them to contemplate the potential and future of the creek’s redevelopment. 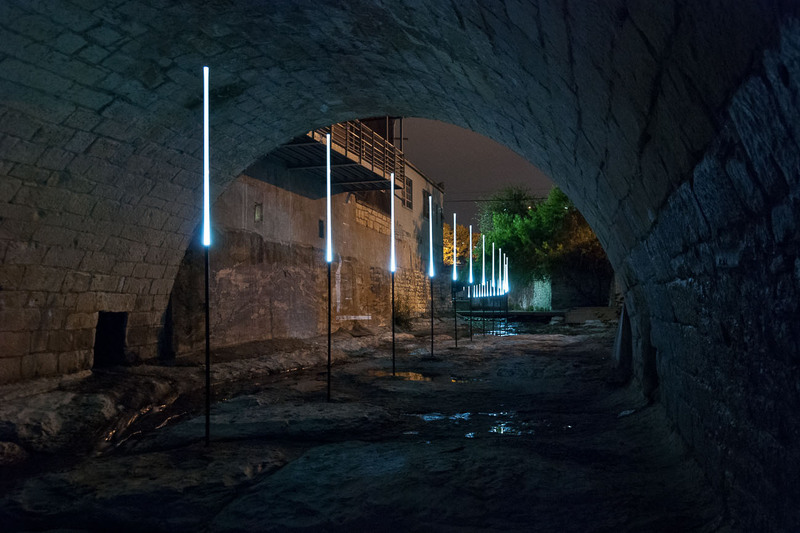 The piece consisted of a series of thin illuminated tubes emerging from the creek, anchored at approximately 10 foot centers with their tops aligned at a single datum. 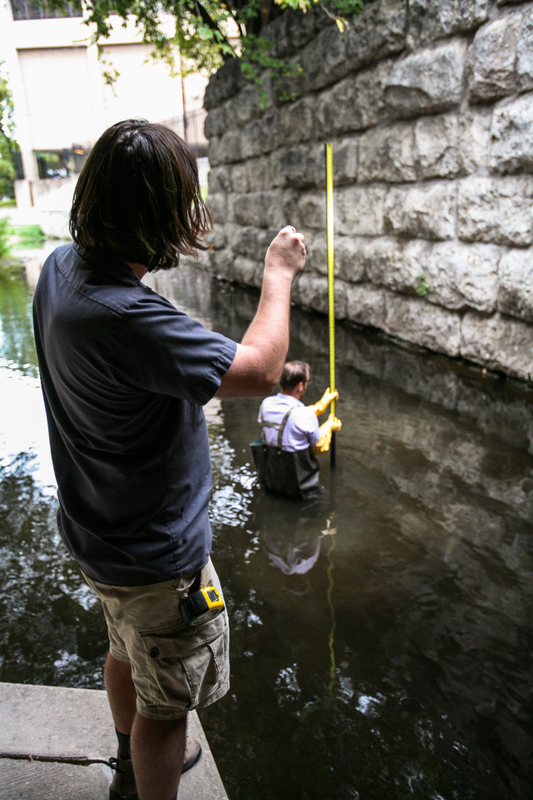 The tubes sat atop black pipe tracing the depth of the creek (if the depth dropped at an even slope, each of these pipes would have been precisely the same size). 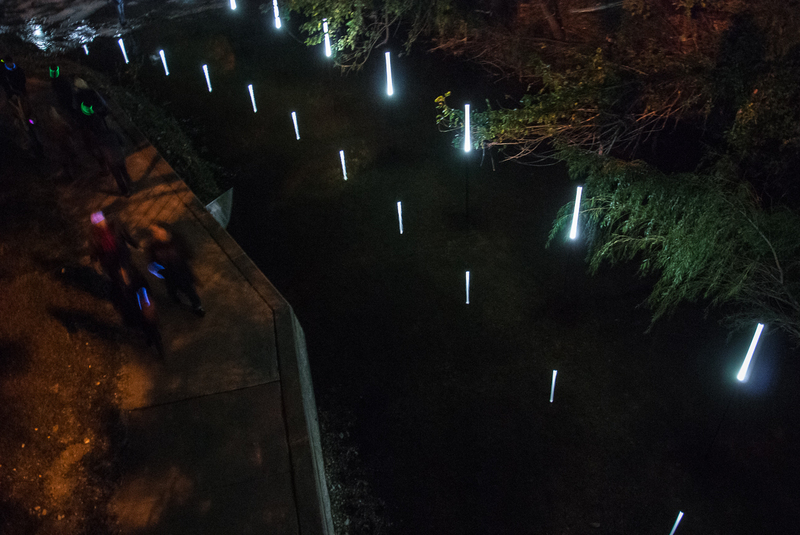 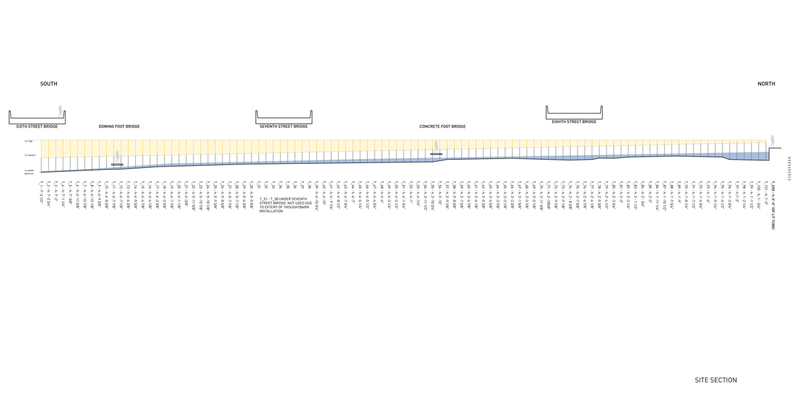 The glowing portions grew, however, from north to south to a maximum length of six feet describing a wedge that matches the estimated six feet of vertical grade the installation spanned. 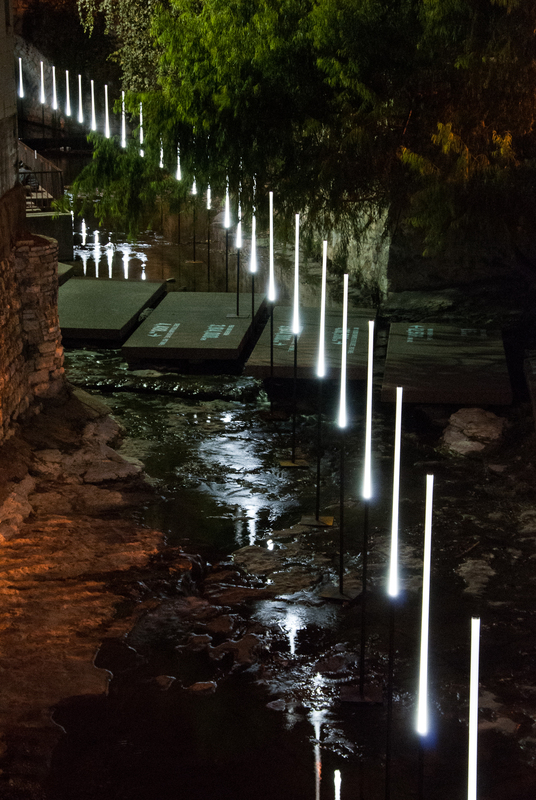 Although the views within the creek are often obscured, the winding line of suspended luminaires became increasingly visible as the evenings progressed into night, from the north side of 6th Street, to the south side of 9th. 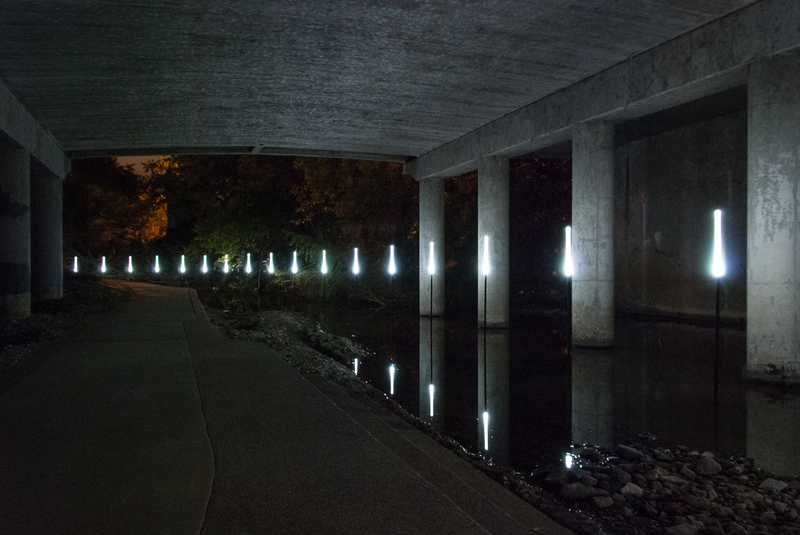 Our installation was an economical solution to a challenging assignment: to illuminate the potential of the creek. 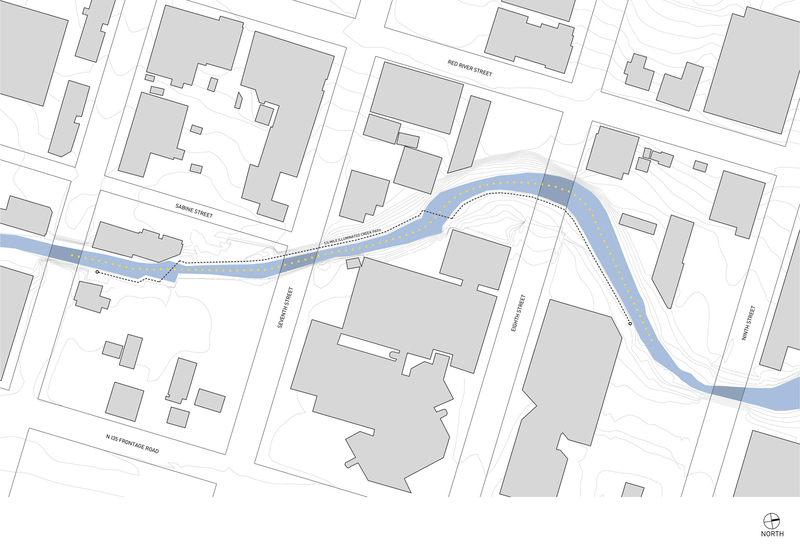 Along with the experience of Casis Elementary, watching people walk portions of the creek and photograph themselves against our work was one of the most gratifying experiences of our careers. 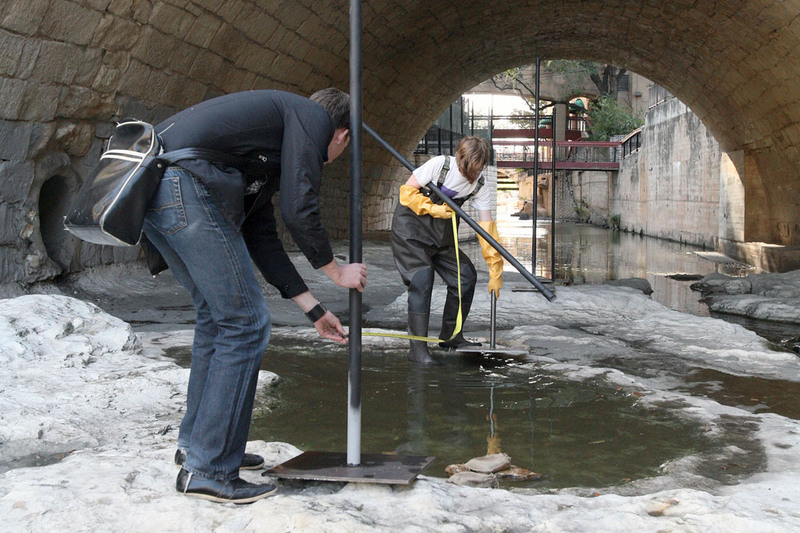 Elaine from our office was there to photograph the event. 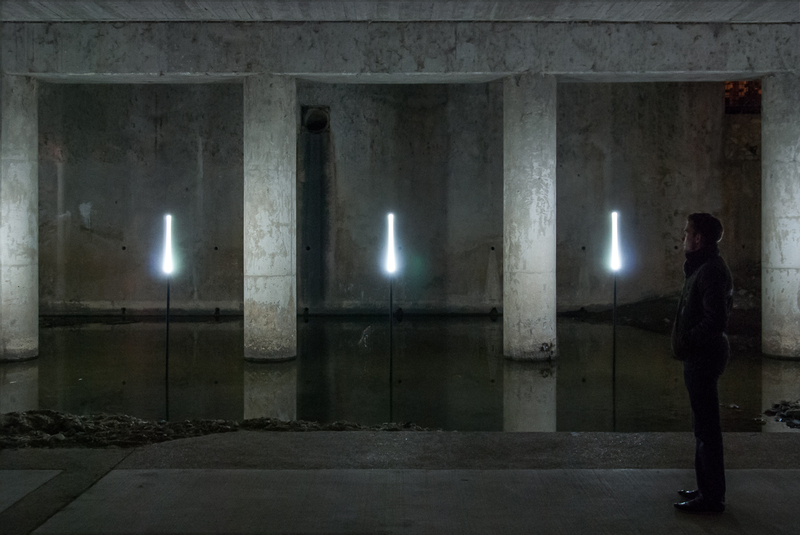 Her images do a pretty nice job of describing the eerie beauty of those three nights.